Mercuriall Audio has had a Spark of inspiration. 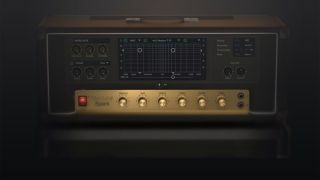 Mercuriall Audio Software has been up to its guitar amp modelling tricks again, this time releasing a plugin known as Spark. This is said to incorporate the company's latest technology, and models four Marshall tube amps, four cabs, four overdrive pedals and a set of spatial effects. Spark features a model of a push-pull power amp on pentodes, and when you turn up the Master control, you're promised the same level of saturation you'd get from a real Marshall. The gain and other controls are also said to feel natural. You can mix the sound from two mics, and there are three models to choose from. As well as the four overdrive pedals you also get a noise gate on the input, along with chorus, delay and reverb effects. You can find out more and download a demo on the Mercuriall Audio website. Spark's full price is $120, but you can get it for $99 until 23 December. It's available for PC and Mac in VST/AU/AAX formats.